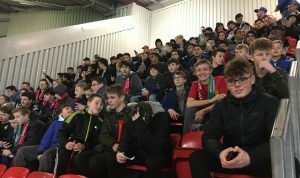 Ysgol Treffynnon recently took 42 students to Old Trafford to watch Manchester United in their Europa League final thirty-two tie. Manchester United won the game 3-0 with a hatrick from Zlatan Ibrahimovic. 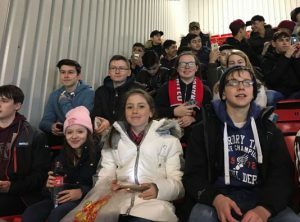 All students were fantastic and loved the experience. For some it was their first time at Old Trafford. The only issue was the traffic and roadworks on the journey home meaning that we didn’t get back to school until 1.30am! Thanks to Mr Hooson, Miss Talbot, Mrs H Jones and Mr Chesters for giving up their time to make the trip happen.